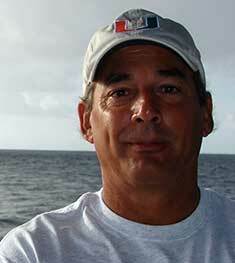 Jim was born in Coral Gables, Florida, and was introduced to boating at a very early age. Growing-up in a boating community, he spent most of his time on Florida Bay and the Keys. Summers were spent aboard the family cruisier in the Bahamas with the neighborhood Yacht Club. After attending U. of Miami, Jim got married and moved to the Islamorada area, where the family boathouse served as his home for almost 15 years. While working as a dock master at a local marina, Jim acquired his first USCG license, and soon after, started his own commercial fishing business. In 1989 Jim moved back to the mainland and started a career in the Turf Management Industry in the Palm Beach Gardens area. He eventually worked his way up to the position of Assistant Superintendent, but after eight years wasn’t satisfied with it. After purchasing a 44’ liveaboard, Jim landed his first maritime job as a deckhand on a casino boat, and the rest is history. He spent the next ten years serving as: Captain of three casino boats – and served as Mate on a jet hydrofoil, cargo ship, fast ferry and a small cruise ship. Jim decided that shipping out for extended periods of time was not something he wanted to pursue any longer, so he took advantage of an opportunity to build a couple of spec homes in the mountains of North Carolina (Linville/Grandfather Mtn. area). Jim holds a current 1600/3000 Ton Master Oceans License, SAMS Certificate and a Type Rating for a Dynamically Supported Craft. After selling his last boat, Jim and his wife Pam now live in the Ft. Pierce Inlet area. Jim can be reached at jim@curtisstokes.net or call 386-871-4959. 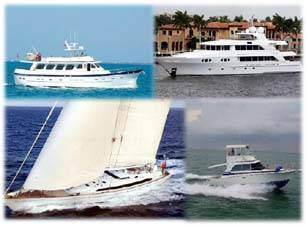 Jim is a graduate of the Yacht Broker Institute.